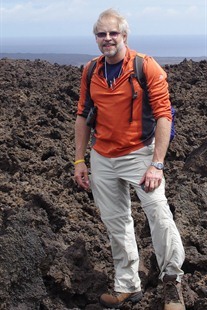 Using case studies, conceptual explanations, and a relevant presentation of material, Environmental Geology helps you become better informed of the connected nature of environmental geology and the multidimensional processes of the Earth. 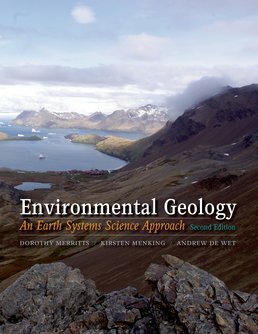 This concise text is the only book using an Earth system approach to exploring how the Earth works, the human impact on the environment, and the characteristics of different natural hazard. Dorothy Merritts is a geologist with expertise on streams, rivers, and the impact of humans and geologic hazards on landscape evolution. In the western United States, she conducted research on the San Andreas Fault of coastal California, and her international work focuses on fault movements in South Korea, Indonesia, Australia, and Costa Rica. Her primary research in the eastern United States is in the Appalachian Mountains and Piedmont, particularly in the mid-Atlantic region, where she is investigating the role of climate change and human activities in transforming the valley bottom landscapes and waterways of Eastern North America. Recently she partnered with other scientists and policy makers from multiple state and national government agencies to develop and test a new approach to stream and wetland restoration. She is a professor in the Department of Earth and Environment at Franklin and Marshall College in Lancaster, Pennsylvania. She is an author or co-author of more than 70 scientific articles, and the editor and contributing writer for numerous scientific books and field guides. Kirsten Menking is an environmental Earth scientist in the Department of Earth Science and Geography at Vassar College. 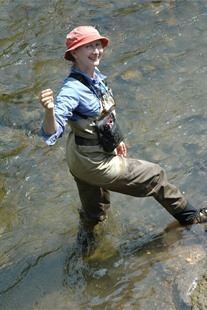 Her research interests include using lake sediments to unravel Earth’s history of climatic change, linking this history to atmospheric and hydrologic processes through a combination of numerical modeling experiments and collection of weather and stream discharge data, analyzing the evolution of landforms in response to climatic and tectonic processes, and studying the impacts of urbanization on streams. 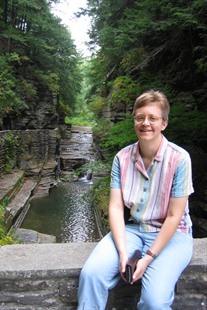 She has published journal articles documenting glacial–interglacial cycles in the Sierra Nevada mountains and adjacent Owens Valley of California, determined the climatic conditions necessary to produce a Pleistocene lake in the now-dry Estancia Basin of New Mexico, and un-covered a centuries-long mid-Holocene drought in New York’s Hudson River valley. Her current research involves quantifying the amount of road salt entering the groundwater system,a topic of concern both for people dependent on well water and for aquatic ecosystems.